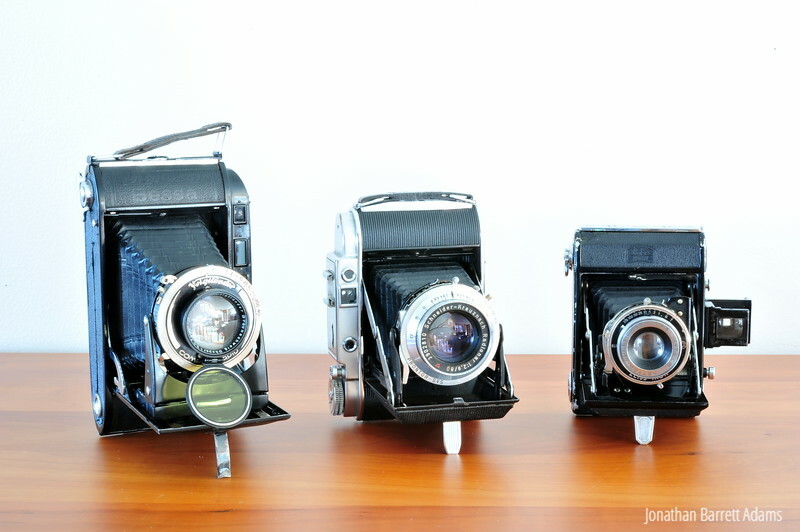 From left to right: Voigtländer Bessa RF (6x9), Franka Solida III (6x6), & Zeiss Ikon Nettar 515 (6x4.5). The Bessa is a coupled rangefinder that was produced from 1936-1951. The Franka is an uncoupled rangefinder from the mid-1950s. The Zeiss Ikon Nettar 515 is a modest but very capable zone-focus camera which began production in 1937. This particular example is probably from the mid- or late-1940s. All are in regular use.